The health related benefits of Turmeric have been known in both India and China for the last 2000 years. Healers have used it to combat a wide range of illness ranging from digestion issues to depression; headaches to relieving congestion. In the present day, turmeric has been found not only to slow the spread of many cancerous cells but to augment the effects of more mainstream treatments such as chemotherapy. 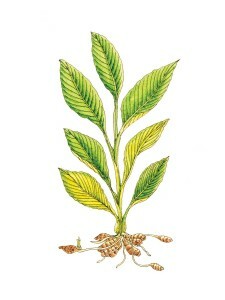 Turmeric’s active ingredient is called curcumin. Curcumin is such a powerful anti-oxidant and anti-inflammatory there is almost no part of the body which doesn’t benefit from it. The list of ways in which turmeric has been proven effective is long: people suffering from circulatory system ailments such as high blood pressure and heart disease benefit from regular consumption of Turmeric; it is as effective as many anti-inflamatory medications – with no side effects; stomach and digestive complaints can be resolved as can chest colds and other congestion. Of course preventing illness is a much better use of this amazing spice and that is why Spice of Life has used it in some products. The properties of turmeric that help reduce the effects of inflamation will promote healthy joint function. In the same way turmeric can strengthen your digestive, circulatory and immune systems.